Freshwater pearl and pink crystal earrings. 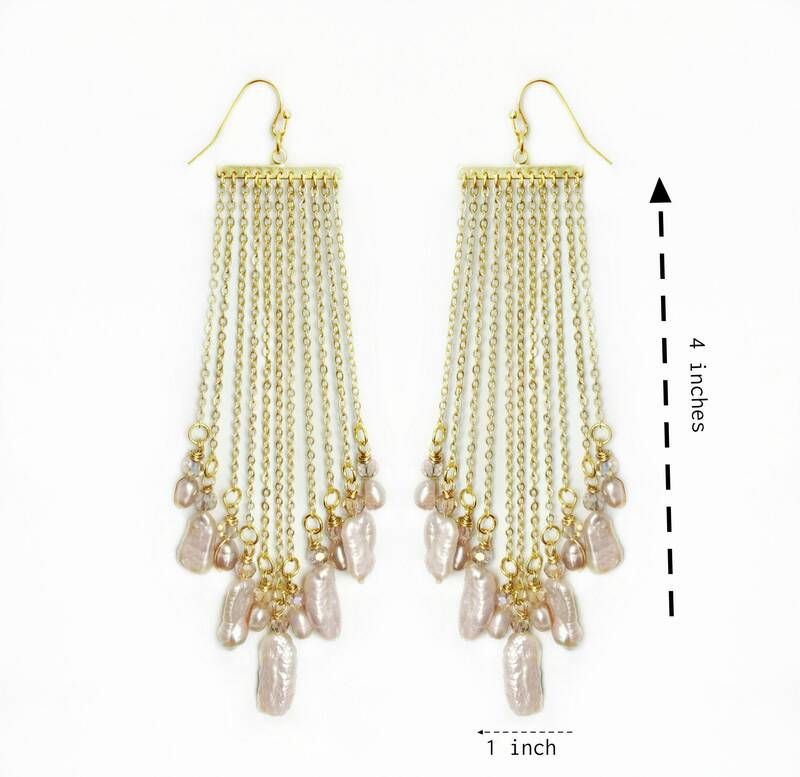 These earrings are 4 inches in length and 1 inch in width. They are great summer earrings or perfect earrings for a holiday. 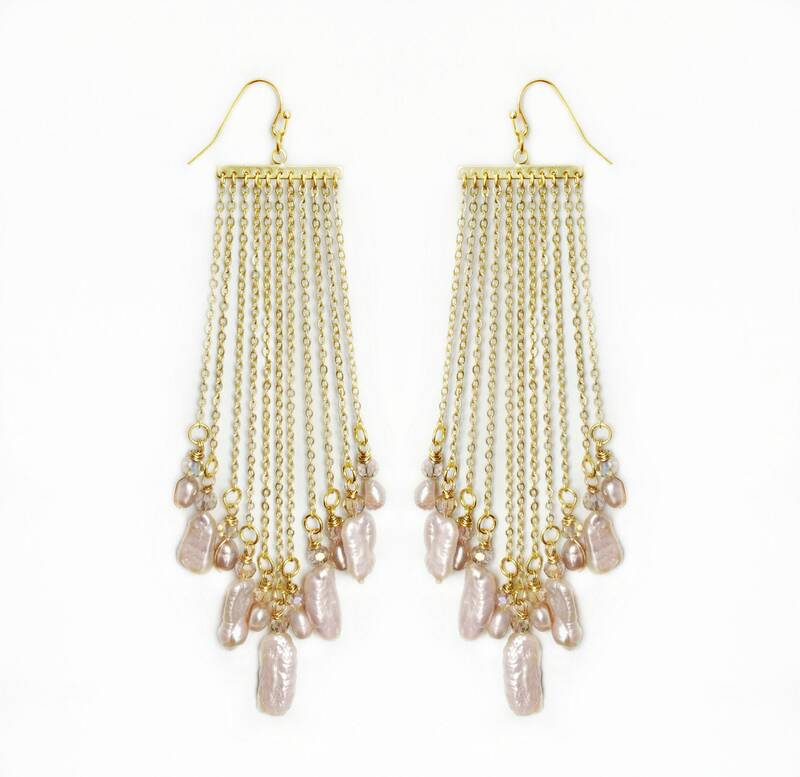 These earrings are very light weight and are ideal earrings to make a statement.